Sometimes you need a bottle quickly… but it’s wet. How can you dry it? Well here’s the solution to having a dried bottle in minutes. 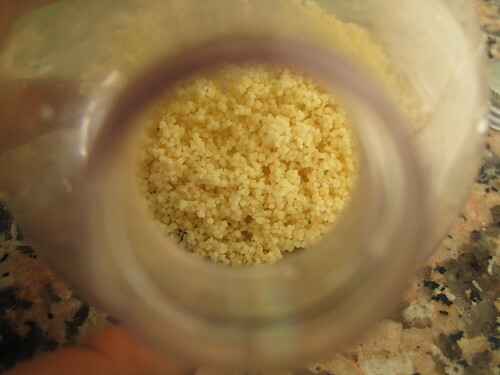 Back at home in Nigeria, when I need to dry bottles, I’d put in some garri – similar in texture to couscous. 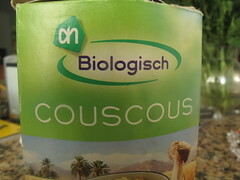 Now I use couscous. 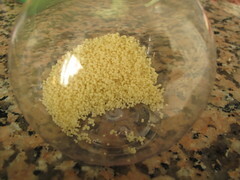 Then pour in about a teaspoon – tablespoon of couscous, depending on how large the bottle is. 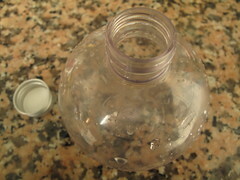 Shake the bottle around so it absorbs all the water. You’ll notice the couscous grains are fluffed up a bit. 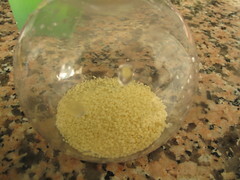 When the water has all been absorbed, tip the couscous out. 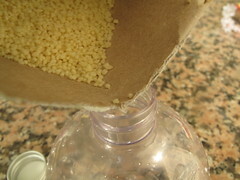 You may need to repeat the process of putting dry couscous in- shaking around- emptying out once or twice till bottle is dried. 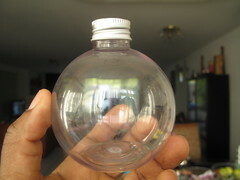 For this small 200ml bottle I had, I only had to do it once. There you have it, your dried bottle. Ready to use as you will.